In our April/May eNewsletter, we featured a short article about the Lemhi Soil and Water Conservation District’s 50th anniversary. Here is the full article written by Jane Sandstrom, Treasurer for the Lemhi SWCD. On May 22, 2012 the Lemhi SWCD will be celebrating 50 years of conservation in Eastern Idaho. It only took 6 months of meetings, hearings and a referendum in 4 communities; Salmon, Lemhi, Leadore and May before the Lemhi SWCD received their Certificate of Organization in 1962. In the first 4 months 28 ranchers & farmers signed up to be cooperators. This initial success has continued over the years as we work with landowners to preserve natural resources, while improving their agricultural operations. The district encompasses about 2,749,000 acres with around 240,000 acres in private ownership. The population is around 8,000 making this a very rural area. Main industries include agriculture, mainly livestock operations, recreation, and some mining. First projects of the Lemhi SWCD included soil surveys, developing conservation plans for landowners, land leveling and irrigation improvements and rock rip rapping on the Salmon, Lemhi and Salmon North Fork rivers. These basic steps resulted in better water management, erosion control, and improved agricultural production. Developing and improving irrigation practices continued to be a focus in the 1960’s. In the 1970’s more emphasis was placed on the use of sprinklers to conserve both water and soil. In the 1980’s the district started to promote minimum tillage and gravity sprinklers to save energy and water along with use of new plant material for livestock forage. The 1990’s brought a change with the listing of salmon as endangered and other fish as threatened, and recognizing the assistance we could provide to landowners to protect and improve a variety of natural resources. The 2000’s continued the focus on fish habitat now including larger designs with stream reconnects and fish passage improvements. We worked with many partners on these projects. The 2010’s bring a new challenge: trying to keep local input and interests alive and relevant. Projects have become bigger and include both more landowners, partnering agencies, and organizations now involved with conservation and land stewardship. 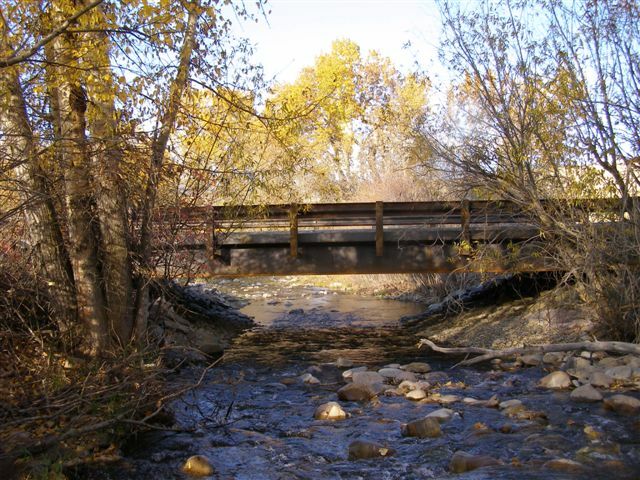 Recent projects of the Lemhi SWCD include replacing culverts with fish friendly bridges, stream reconnects – that include improved irrigation systems for landowners – and fencing of riparian areas. Annual tours of projects, county fair participation, and educational programs over the years have provided outreach and education of local producers and youth. Lemhi SWCD’s current support of an ongoing study of grazing riparian areas strengthens our interest in an overall approach to projects for natural resource protection. A few interesting highlights of the past include hosting a mink fashion show for the IASCD Auxiliary, which was sponsored by a then local mink farm, and participating in a proposal to add 7 new soil types to the National Soil Taxonomy classifications as a result of soil surveys in the surrounding counties. The LSWCD was also instrumental in forming the Lemhi Model Watershed office in 1992 (now the Upper Salmon Basin Watershed Program). Who knows how priorities will change in the next 50 years, but the Lemhi SWCD will continue to be THE local organization that promotes, protects, and supports voluntary conservation by landowners of the natural resources found in our beautiful valley. IASCD's vision is strong, independently led conservation districts fully exercising their role to lead non-regulatory conservation efforts throughout the State of Idaho. Idaho Association of Soil Conservation Districts · A unified voice for conservation in Idaho.